Griffin is one of the leading biscuit manufacturer in New Zealand .This was done to meet out huge demand of Griffin products . The present capacity at Auckland fall short of that .Company has not disclosed which brand has been shifted to Fiji for production .Few of the cream biscuit packs have stopped displaying " Buy New Zealand Made".Brands includes Cameo Cremes, Belgian Cremes, Lemon Treats, Melting Moments and Swiss Cremes and accounts for 2.5 per cent of Griffin's' total biscuit production. It has also been dropped from Lemon Treats. What ever the reason being definitly company would gain on cost of prodution as labor in Fiji would be available at lower payout. Many bakery manufacturers would move production base to other countries to enter the local market and also take the cost advantage . 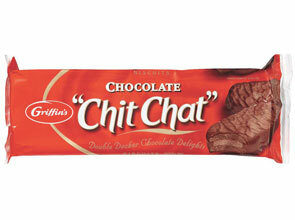 Labels: Griffin, Griffin NewZealand, Griffin's, New Zealand biscuit manufacturers, New Zealands top biscuit manufacturer.